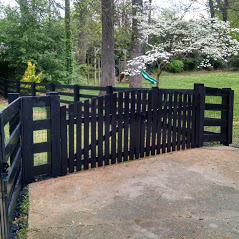 Atlanta Fence Treatment And Repair Company. 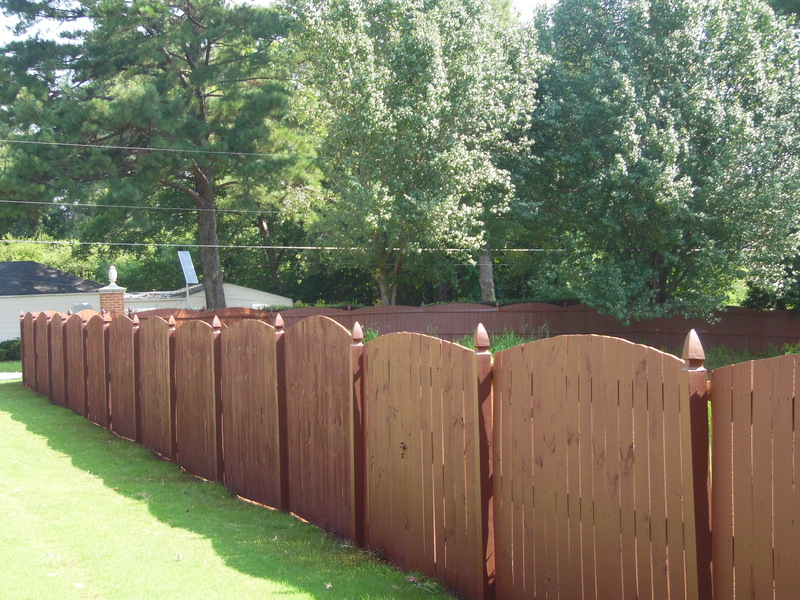 Our specialty is painting, staining and cleaning of all types of wooden fences. Our consultation process is a great opportunity for us to build trust and offer a level-of-service generally not found within this industry. We enjoy the process of seeing our client’s structures go from drab to fab. We look forward to hearing from you. At Stain-N-Seal Solution, we are a specialized painting company that has aligned itself with servicing residential and commercial wooden decks and fence structures. Many of our clients come to us for our expertise and guidance as how to best preserve their new or existing fence. The purchase of a fence is a considerable financial investment to enclose and protect residential or commercial property. 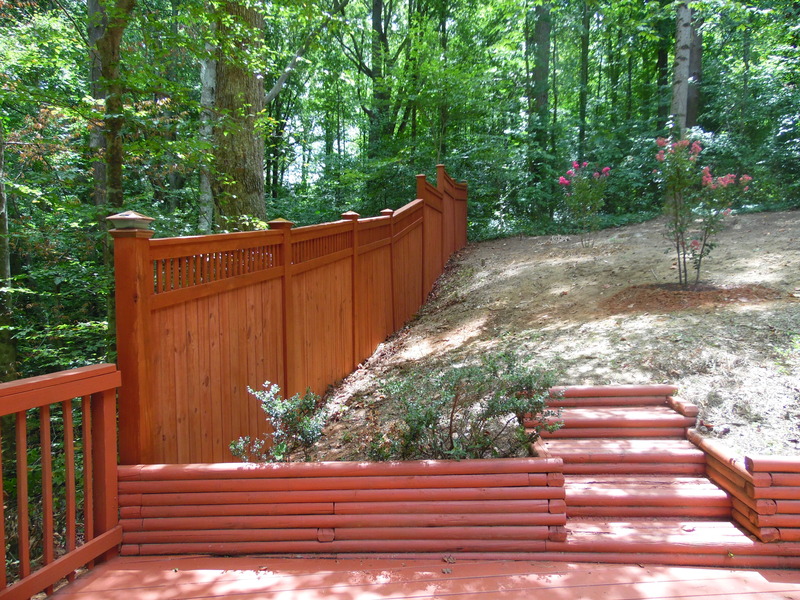 We also work with some of the major fence installation companies in the greater Atlanta area. Whether you have recently built a new deck or fence or revitalizing an existing one, preservation should offer peace-of-mind for protecting your wood investment. Our service coverage area extends throughout the greater Atlanta from McDonough to Cummings and beyond. Our services also are not specific to fence preservation, we are knowledgeable about decks new and existing. We can restore, revitalize, clean, and repair. Inquire for details. We’re honored to be invited into your home to enhance and revitalize the appearance of your wood structure. Our passion for treating wooden structure has grown over the years. Stain-N-Seal Solution is a painting company that specializes in general or custom preservation treatment for all types of wooden fences and decks residential and commercial. It is our goal to provide past, present, and future clients with a level-of-service commensurate with five-star service standards. We take great pride in our product knowledge and the ability to either meet or exceed the client’s expectations. We have over a decade of experience in preserving wood and metal fence and deck structures. 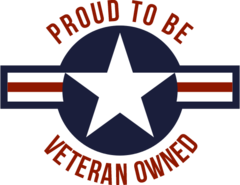 Our team is one of our best assets and a large part of our success. Many of our teammates are qualified and vetted commercial painting subcontractors who have been in the industry well over 20 plus years. We are licensed, insured, and carry workers comp insurance. Our commitment is to the quality of service to our clientele. We pledge to apply the treatment with a heavy hand for the best quality and duration of preservation. Our craftsmanship is backed by a written warranty and is transferrable. Inquire for details. We’re passionate about the work we perform and welcome the opportunity to spend time in our offsite office (your backyard) to complete your work of art. Whether we create a custom combination of treatment ideas to accent the trim or craftsmanship exterior of your home. We love the scope of work we perform and respectfully treat each project as unique. Call today and let us handle your project from start to finish. Let Stain-n-Seal Solution take care of your preservation needs. Founded in 2001 by Charles Williams Sr. who saw a desire and need within the fencing industry. 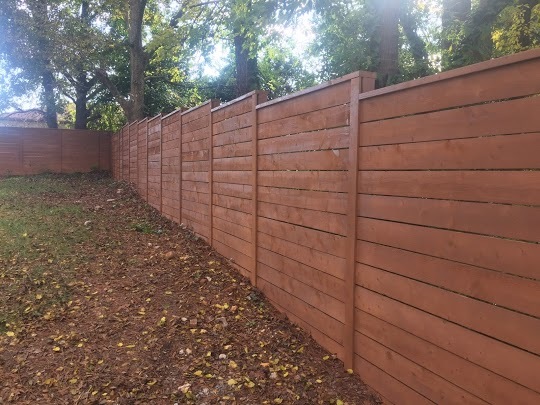 He was driven to grow the business with guiding principles that support an innovative approach towards delivering a high level-of-service that includes educating clients about to how best to preserve or revitalize their wood and metal fence investment either by painting, staining, sealing, cleaning, or simple repairs. He later entrusted his son Charles Williams as the manager of Stain-N-Seal Solution, LLC to deliver an unprecedented level of service to past, present, and future clientele. Charles graciously accepted command authority and responsibility for management the family business taking it to the next level. The necessity and concept of staining-n-sealing are geared towards highlighting the wood-grain of the building material, as well as protecting the material from weather elements. The stain and seal process is a simultaneous process, but over the years clients have requested options for additional color, so we began using semi-solids, solid stains, and paints to enable enhanced color coordination for more appeal. Preserving the appearance of your wood structure offers an important peace-of-mind and adds intrinsic curb appeal for the property. The most frequently asked question is when to best apply a treatment. We suggest treating your structure within 30 days but no later than two months. Pressure-treated pine and cedar structures stained or unstained can be prepped with light cleaning prior to applying the finish. Stain-N-Seal Solution is a licensed and insured full-service wood preservation company. Visit our “How To Get Started” page for more details on what you should look for when selecting a fence restoration company and the right products to use.